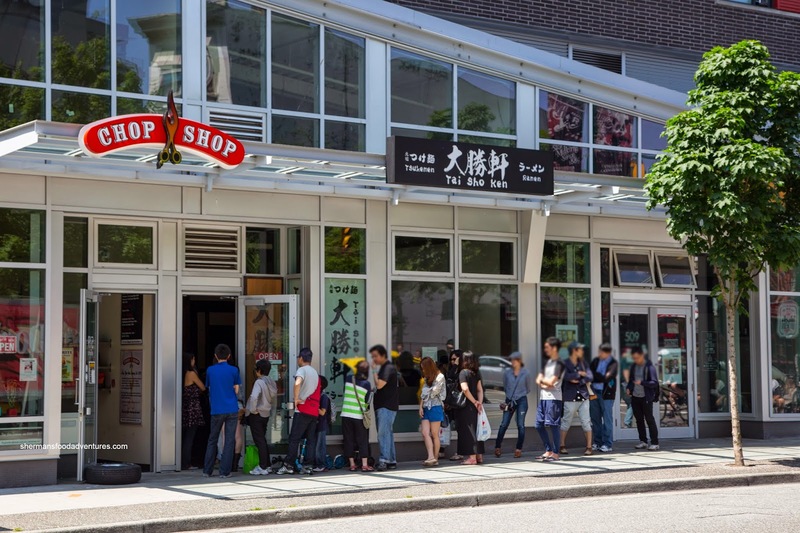 Does Vancouver need more ramen? Heck, does Vancouver need more bike lanes? 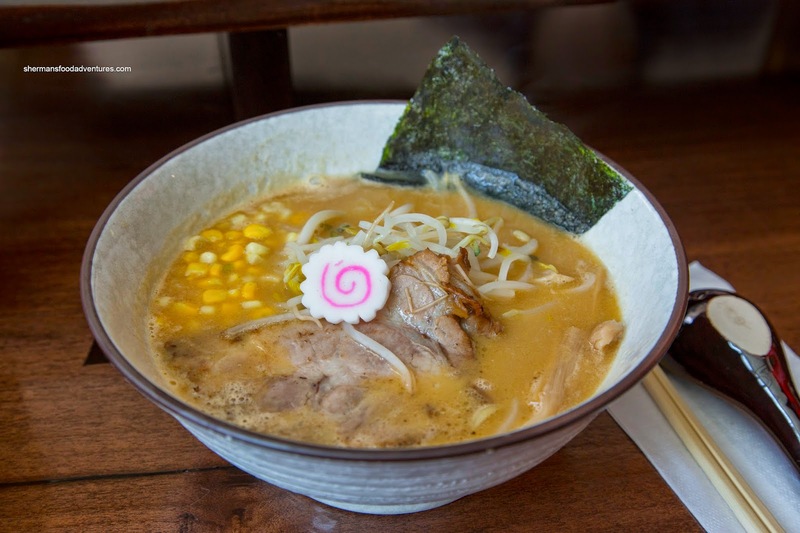 Well, think whatever you want, but we are now home to another Japanese chain called Taishoken Ramen. 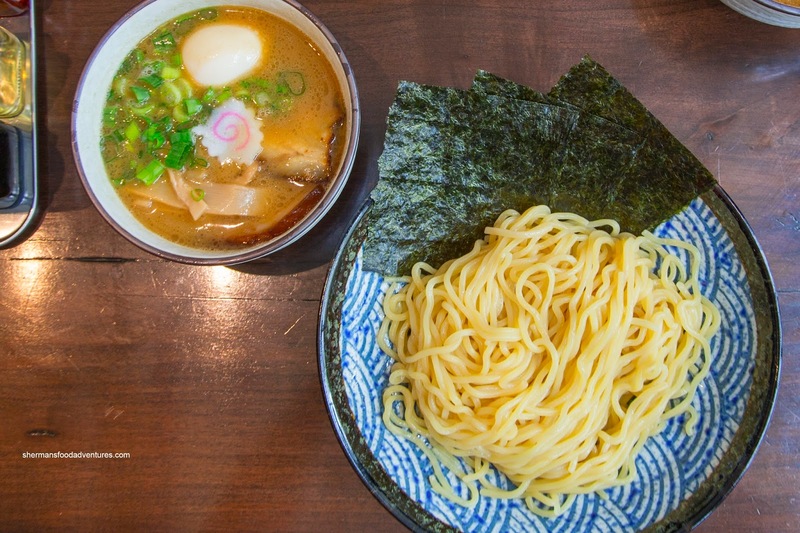 More known for their Tsukeman, which is a cold dipping ramen, they are only offering 3 types of soup ramen at the time being. Seeing how we had just finished up Sunday morning hockey, Milhouse, Kaiser Soze and JuJu joined me in some hot ramen to go with a warm Spring day. At first, we were a bit apprehensive as we spied a lineup to get in. But once Kaiser Soze spotted that all bowls of ramen were only $5.00 as part of their introductory offer, we were determined to get in. As such, we all got 2 bowls each where JuJu even threatened to get 3 just to one up everyone. 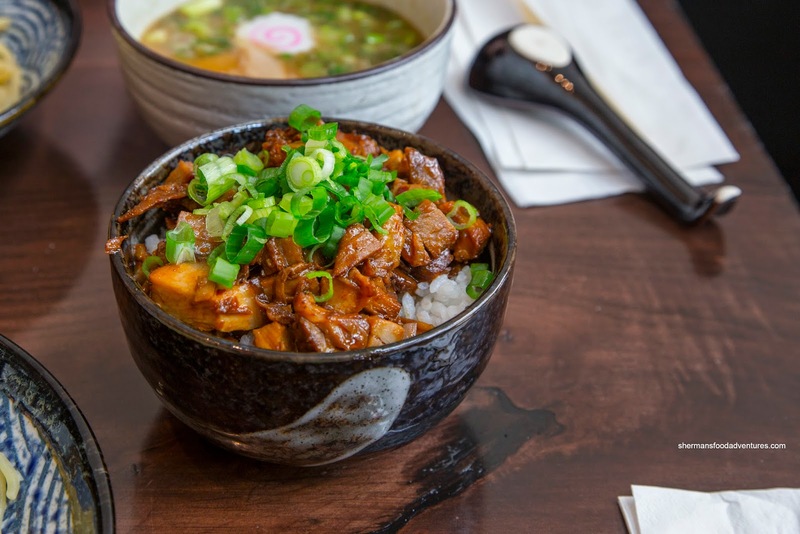 For me, I decided to try the Shio first. It was not particularly salty where I could really taste the meat in the broth (particularly the chicken). It was only mildly silky with some sweet elements. The noodles were toothsome while the pork belly was tender, yet not really all that fatty. JuJu was busy with his other bowl of ramen, so I took the opportunity to try the Shoyu. This one had more depth and saltiness due to the soy sauce. Again, I could taste the pork and chicken fat, which also contributed to the slight silkiness. 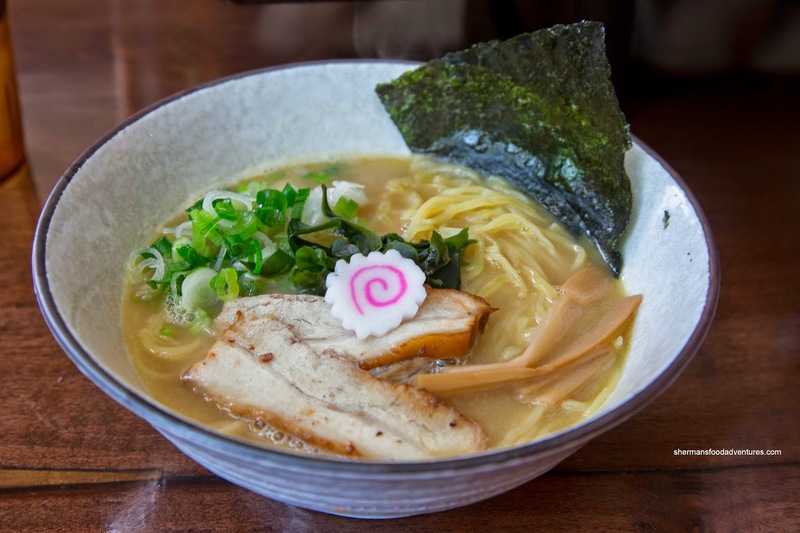 For my other bowl, I tried the Miso ramen. Unlike the shio and shoyu, there was no green onion and the bamboo shoots were replaced by sweet corn. Furthermore, I had the pork loin rather than the belly. This was my favourite of the 3 by far since the miso paste added saltiness and helped thicken the broth. I actually prefered the pork loin as it was fattier and more succulent than the belly. I returned with Sean once their full menu was being served. We both ended up with the Tsukeman, albeit mine was the "special" with egg. There was an option for regular and large (for $1.00 more), but as you can see, the regular portion that I had was more than enough food. 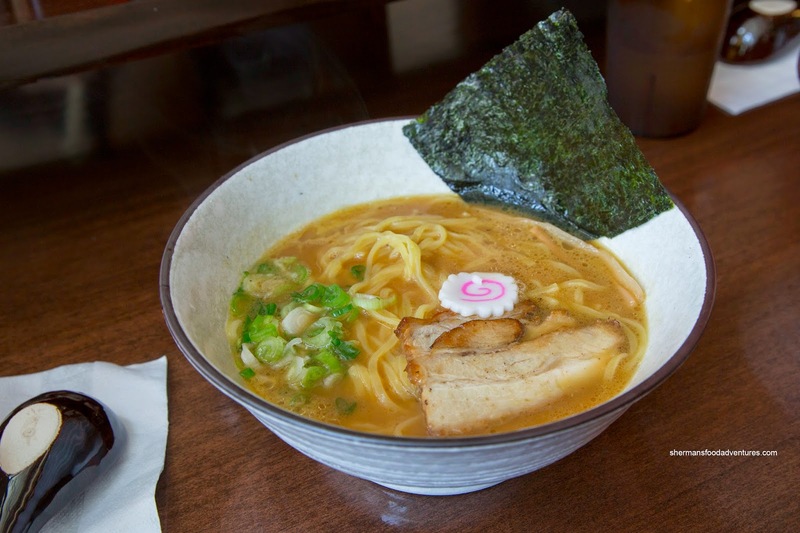 I found the ramen to be appealingly chewy with a nice elasticity. The dipping sauce had a considerable meaty depth and was salty enough to flavour the noodles. It was greasy though, but that only added more body. I chose pork belly and it was fatty and melt-in-mouth soft. As for the egg, it was an utter complete fail. 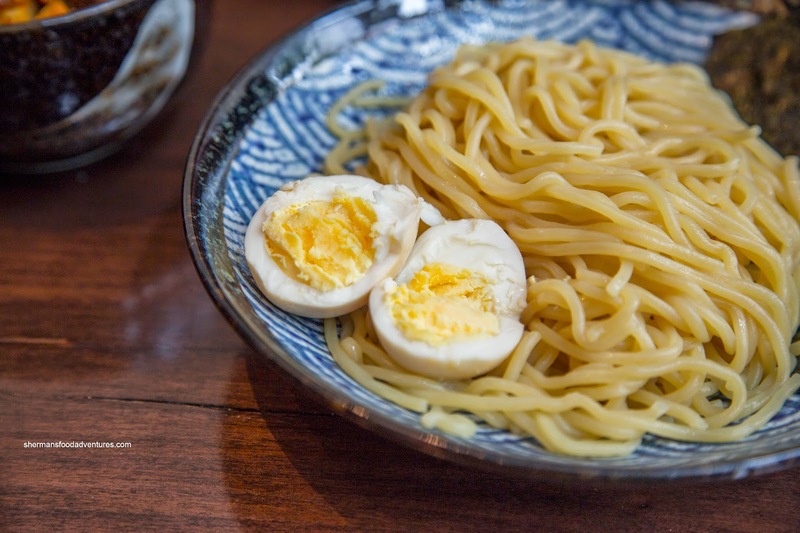 If I wanted hard-boiled eggs, I could easily do that at home. Talk about false advertising (as the picture on the menu shows a golden runny centre). We also shared the Chashu Gohan that featured a considerable amount of mostly tender pork (some pieces were a touch dry). The meat and sauce mixture was quite salty, yet when mixed with the chewy and moist rice, it was pretty good. Overall, from these 2 visits, the ramen was above average and in particular, the miso was very good. However, on a personal level, I was only marginally impressed with the Tsukeman. Furthermore, the egg needs to go back to the drawing board pronto (as I am not the only one who has received a hard-boiled version).